Roderick R. McInnes, CM OOnt MD PhD is the Director of the Lady Davis Institute of the Jewish General Hospital, Alva Chair in Human Genetics, and Professor of Human Genetics and of Biochemistry at McGill University, where until recently he was the Tier 1 Canada Research Chair in Neurogenetics. At the University of Toronto until 2009 he was a University Professor (the highest academic rank) and formerly Head of the Program in Developmental Biology at the Research Institute of the Hospital for Sick Children, an International Research Scholar of the Howard Hughes Medical Institute, and the Inaugural Scientific Director of the Institute of Genetics of the Canadian Institutes of Health Research (2000-2010). 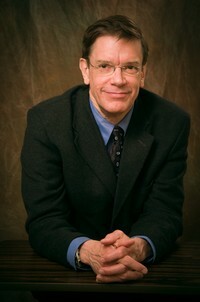 Prof. McInnes has made important contributions to the understanding of the molecular basis of retinal and eye development, the identification of genes and processes associated with inherited retinal degeneration, and to knowledge of synaptic accessory proteins that modulate the activity of ion channels in the nervous system. He is one of three coauthors of the 5th, 6th, 7th and 8th editions of the classic textbook Thompson and Thompson’s Genetics in Medicine, for which the authors received the 2015 American Society of Human Genetics Award for Excellence in Human Genetics Education. In 2010, Dr. McInnes was the President of the American Society of Human Genetics. Amongst other honours, he is a Fellow of the Royal Society of Canada and the Canadian Academy of Health Sciences. He was appointed to the Order of Ontario in 2008, and made a member of the Order of Canada in 2009. In 2017-2018, he was the Acting President of the Canadian Institutes of Health Research.